Are you ready for a quick insurance checkup? Chances are, your life changed in some way last year. 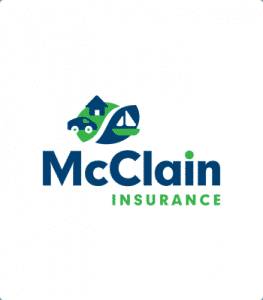 Make sure your insurance protection is up-to-date by taking the McClain Insurance Five Minute Insurance Checkup. Life events like welcoming a baby, getting married, or retiring are all indicators you may need to update your insurance. Big purchases can impact your insurance, too. If you invested in big-ticket items like a home remodel or expensive jewelry and didn’t notify your insurance company, you may have insufficient coverage. Did you know? Unreported life events cause 33% of unpaid claims every year! We don’t want you to be part of this statistic! Even if you haven’t experienced a life-changing event, you could be eligible for new discounts. One of our favorites: PEMCO’s new discount for “smart home” technologies like Nest Protect and other self-monitoring safety devices. Don’t worry, our Five Minute Insurance Checkup includes a discount checklist, too! 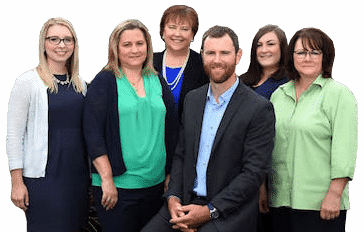 After you complete the McClain Insurance Five Minute Insurance Checkup, we’ll review your policies to make sure they’re still the best insurance solution for you. Be sure to indicate how you prefer we contact you – by phone, email, or text message – and we’ll be in touch with our recommendations. Thank you for being proactive about your insurance protection! What concerns do you have about your insurance? Why do we ask? If you have insurance policies elsewhere - such as for a rental property, classic car, or boat - we want to make sure you don't have any dangerous gaps in protection. The following life events can impact all your insurance policies. Please select all that apply. The following discounts may apply to your home or auto insurance policies. Select all that apply. The following discounts may apply to your home, condo, or renters insurance policy, even if your alarms are self-monitored (such as with Nest Protect or SimpliSafe). Please select all that apply. The following life changes may impact your home, condo, or renters insurance policy. Please select all that apply. Your insurance company may have new discounts available based on your vehicle usage. Please provide the following for each car you own: primary usage (such as pleasure or commute), commute distance one way (if applicable), and annual miles driven. The following discounts may apply to your auto policy. Please select all that apply. The following life changes may impact your auto policy. Please select all that apply. We're always striving to improve. We welcome a few words of feedback if there's anything we can do to better serve you. Thank you!